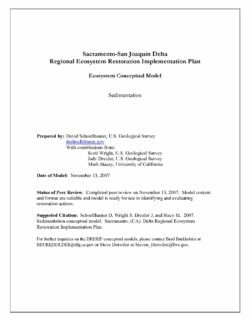 This resource management strategy focuses primarily on private land in agriculture including cultivated land and rangeland. Agricultural land in California comprises about 31.6 million acres (California Department of Conservation, Division of Land Resource Protection, Farmland Mapping and Monitoring Program 2008). About 12.4 million of these acres are cultivated, while the remaining 19.2 million acres are rangeland (California Department of Forestry and Fire Protection 2010). Agricultural systems in California are varied in the way resources are used, ranging from intensive conventional agriculture (irrigated crop cultivation) to more extensive systems such as livestock grazing, each with a different relationship to natural resources. They also affect and are affected by surface hydrology and groundwater recharge in different ways. Stewardship of this land requires constant balancing among natural constraints, market forces, and ever-changing social expectations. Institutions and policies have been developed in response to these challenges. Public investment in water infrastructure (reservoirs, canals, drains, levees, dykes) has been in the forefront of these. 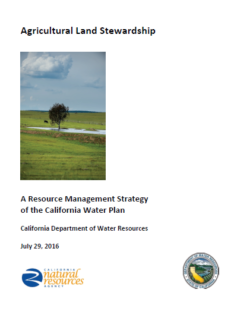 This resource management strategy report focuses on agricultural land stewardship (ALS) strategies that can be incorporated into relevant adaptive management of agricultural land at different levels, including landscape, regional and project. 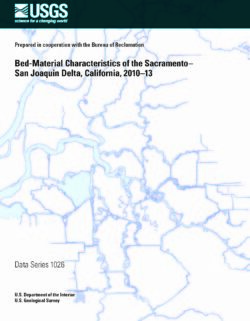 The characteristics of bed material at selected sites within the Sacramento–San Joaquin Delta, California, during 2010–13 are described in a study conducted by the U.S. Geological Survey in cooperation with the Bureau of Reclamation. During 2010?13, six complete sets of samples were collected. Samples were initially collected at 30 sites; however, starting in 2012, samples were collected at 7 additional sites. These sites are generally collocated with an active streamgage. At all but one site, a separate bed-material sample was collected at three locations within the channel (left, right, and center). Bed-material samples were collected using either a US BMH–60 or a US BM–54 (for sites with higher stream velocity) cable-suspended, scoop sampler. Samples from each location were oven-dried and sieved. Bed material finer than 2 millimeters was subsampled using a sieving riffler and processed using a Beckman Coulter LS 13–320 laser diffraction particle-size analyzer. To determine the organic content of the bed material, the loss on ignition method was used for one subsample from each location. Particle-size distributions are presented as cumulative percent finer than a given size. Median and 90th-percentile particle size, and the percentage of subsample mass lost using the loss on ignition method for each sample are also presented in this report. 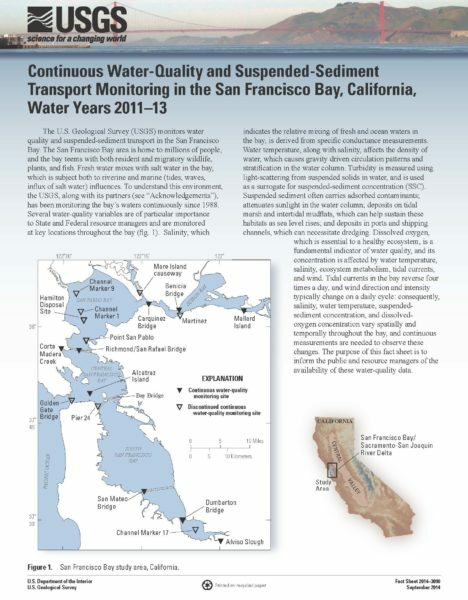 1) Sediment supply: The supply of sediment from the watershed to the Delta is limited. Sediment supply is decreasing due to trapping behind dams and diminishment of the hydraulic mining sediment pulse. 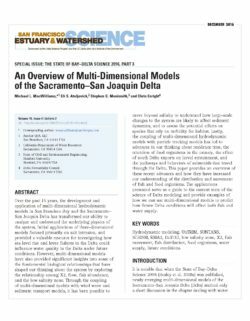 2) Sustainability: The Delta is depositional and adequate sediment deposition is required for wetlands to keep up with sea level rise. 3) Restoration: Typical suspended-sediment concentrations in the Delta range from 10-50 mg/L except during river floods when it can exceed 200 mg/L. Natural wetland sedimentation when concentration is 100 mg/L is about 0.025 m/yr, so deposition rates in the Delta are smaller. 4) Light and biota: Suspended sediment is the primary attenuator of sunlight in the water column of the Delta. Photosynthesis, primary production, and fish behavior depend on light. 5) Model uncertainty: Physical processes are qualitatively understood but difficult to quantify. Erosion is more difficult to quantify than deposition. Biological processes that affect sedimentation are not as well understood qualitatively and are very difficult to predict quantitatively. These outcomes are used by habitat, stressor, and species models. The first three outcomes are also drivers in this model because of feedback loops. This conceptual model also has many intermediate outcomes that are used as drivers in the model and are available to other models. Engineers in the Bureau of Reclamation's Sedimentation and River Hydraulics Group provide technical assistance and conduct studies to meet the needs of other Reclamation offices and of domestic and international water resources agencies. In addition to using the latest state-of-the art technology, engineers in the Sedimentation and River Hydraulics Group often have to develop new technology, methods, and computer programs for solving erosion, sedimentation, and river hydraulic problems. All the authors of the Erosion and Sedimentation Manual are members of the Sedimentation and River Hydraulics Group. Information, computer programs, and materials included in the manual are based on proven technology existing in the literature and some of them were developed by the authors for solving practical engineering problems. 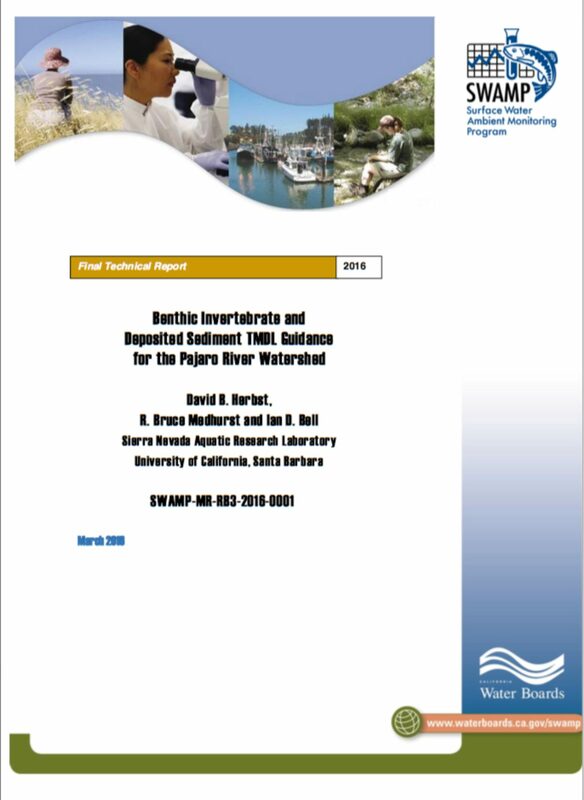 The objectives of writing this manual are twofold: to summarize the authors' experience and knowledge and to share with the public what they have learned and used in solving erosion and sedimentation problems. 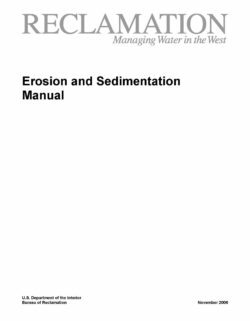 The Erosion and Sedimentation Manual is intended for engineers with basic background and knowledge in open channel hydraulics, sediment transport, and river morphology. The manual can also be used as a reference book for university professors, graduate students, and researchers for solving practical engineering problems. This manual contains nine chapters and three appendices. 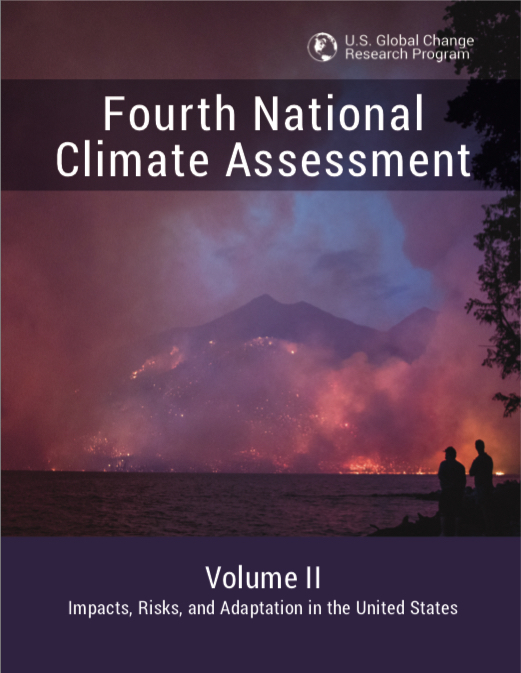 Each chapter is self-contained, with an introduction, summary, and a list of references. Cross references are made to avoid duplications of materials in different chapters. 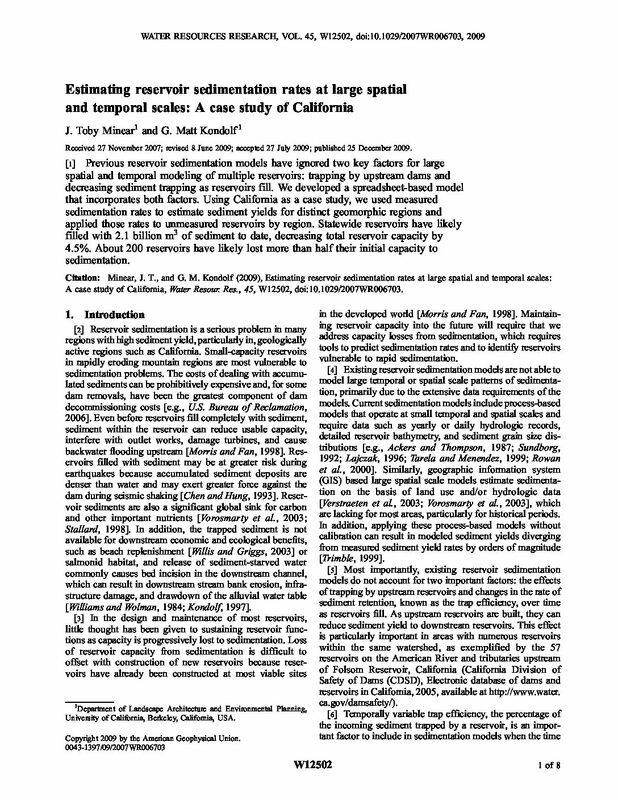 Basic theories, concepts, and approaches in erosion, sediment transport, river morphology, computer modeling, and field survey are reviewed and summarized in the manual. Examples are used to illustrate how to use the methods and programs contained in the manual. The National Marine Fisheries Service (NOAA Fisheries) is responsible for protecting, managing, and conserving marine, estuarine, and anadromous fish resources and their habitats under various legal authorities (Appendix 1). 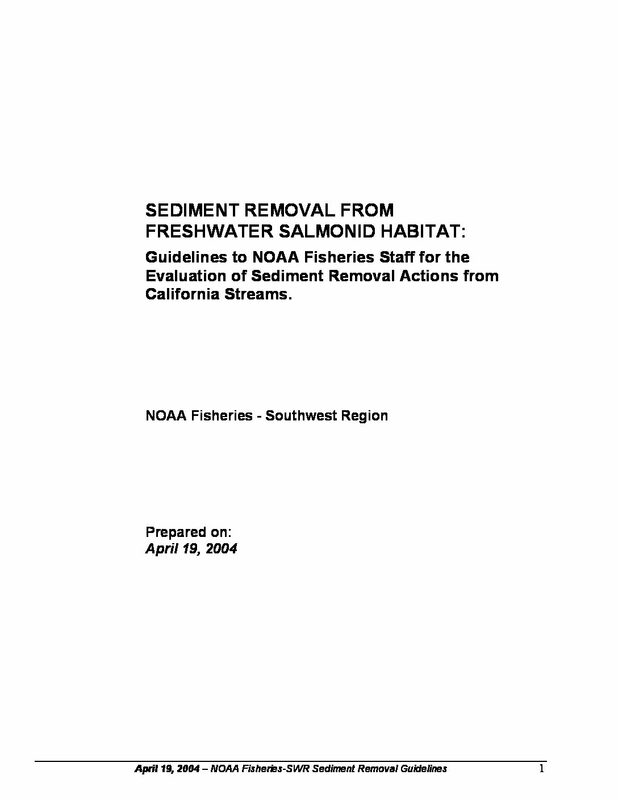 A guidance document specific to the NOAA Fisheries Southwest Region (SWR) for instream sediment removal is appropriate, because such actions have the potential to adversely affect all life stages of listed salmonids and because sediment removal actions are widespread in California streams. The scientific literature documents that instream gravel mining operations and salmonids are often attracted to the same locations. The effects of instream gravel mining and channel maintenance have been widely recognized as potential impacts to aquatic resources. At least 13 states and 8 foreign countries have implemented restrictions or prohibitions on commercial sediment excavation from fish-bearing streams. Oregon and Washington have reallocated their aggregate resource production from streams to predominantly floodplains and geologic deposits. Aggregate production in California is focused primarily on streams. The annual aggregate extraction in California is estimated to exceed natural replenishment by an order of magnitude. In California the demand for high-quality aggregate materials is high because of a rapidly growing population, expanding industry, and the geologic nature of the most populous areas. NOAA Fisheries anticipates that pressures for stream-derived aggregates will continue to increase in the SWR. This convergence of geology and accelerating market demand has significant implications for the conservation and recovery of the freshwater habitats entrusted to NOAA Fisheries.